Magic Bullet Frames lets you convert interlaced video to progressive and change 60i video to 24p. This means that the video takes 60 interlaced fields every second and creates 24 frames of video through field-adaptive motion interpolation. 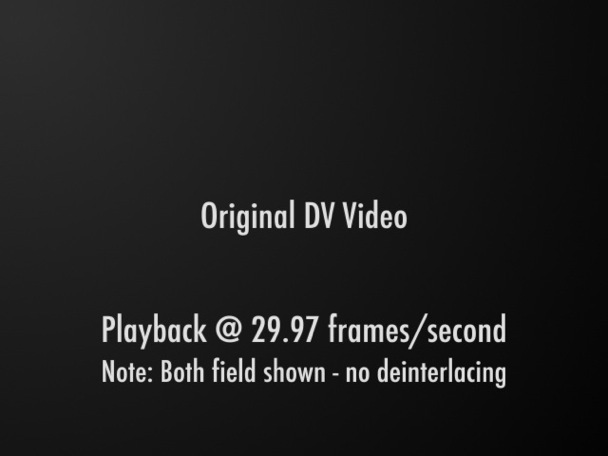 This example is the original DV video set to play at 30 frames per second and showing both fields. The original was captured as 60i or 60 interlaced fields per second. This example allows you to see the fields. This example is the Magic Bullet Frames processed video set to play at 24 frames per second. Notice how the fields in the original have been converted to show just full frames. 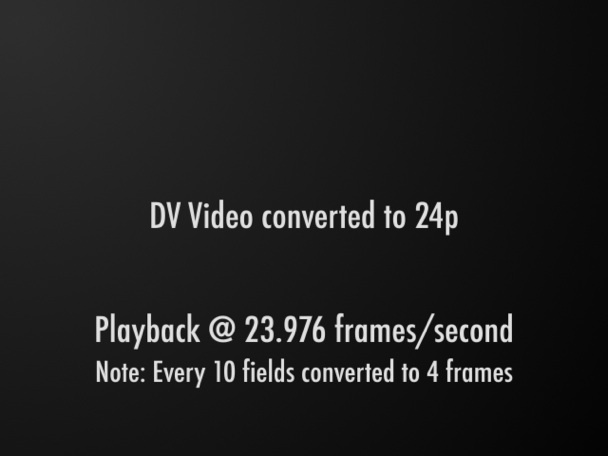 Also, the motion in the video has more stutter because several fields have been combined into one frame. This is very similar to the motion you would get if the original were captured at 24 frames per second.